I just haven't had a lot to write about lately. Back to working a forty-hour week I've had little time to MAKE ART NOW! To relax I've been learning and experimenting with Photoshop. My latest obsession: BRUSHES. As if you could not tell! On this one below I created a BRUSH from one of my original design backgrounds. 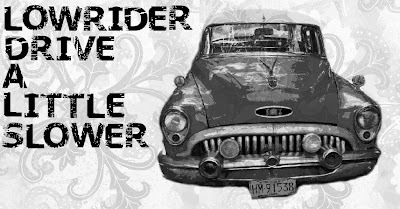 After applying it in black I faded the background and then used the custom BRUSH of the vintage car I found while searching custom brushes on the Internet. I only have Photoshop 6.0 so my BRUSHES are limited :( Do you feel sorry for me? Does anyone have a newer version of Photoshop they want to loan me to install? Perhaps a barter -- I make you a Chopstick Journal and you loan me your Photoshop CD? 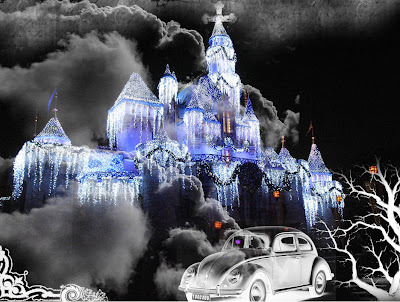 This one below is another manipulated photo that I took at Disneyland this past winter. I think I will become even more obsessed working with vintage photos in my collection! Your creativity with Photoshop is amazing! I love your lastest pieces. OHMYGOD MIJA! I love your edgy brush! SOCOOL! I was also looking at your earlier "altered" photos below and I love the birds on branches hanging in front of the castle. Great stuff. I'm so glad to see you're back in blogland. 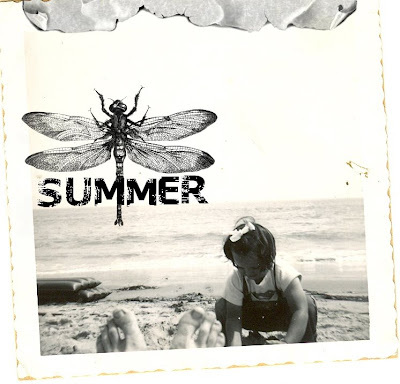 I posted in my blog yesterday for the first time in a while as well. I'm loving your new photoshop experiments. 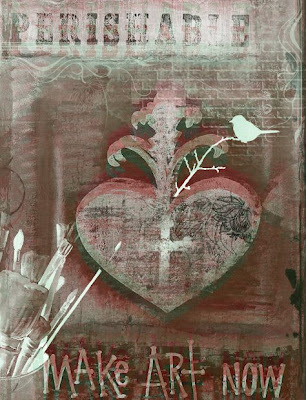 I love the look of digital collaging. Keep experimenting and I hope you're feeling better.